Our Google Chrome extension makes it quicker to analyze businesses. Just browse to your prospect’s website and hit the button in your Chrome toolbar to start the analysis. 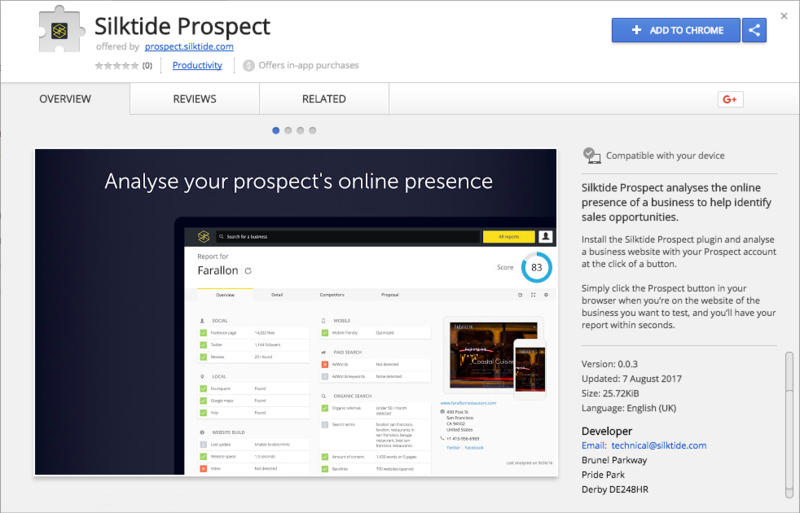 The extension is completely free for existing Silktide Prospect customers and can be installed from the Google Chrome app store.